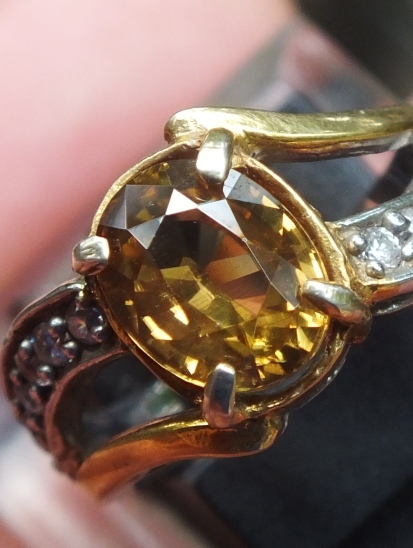 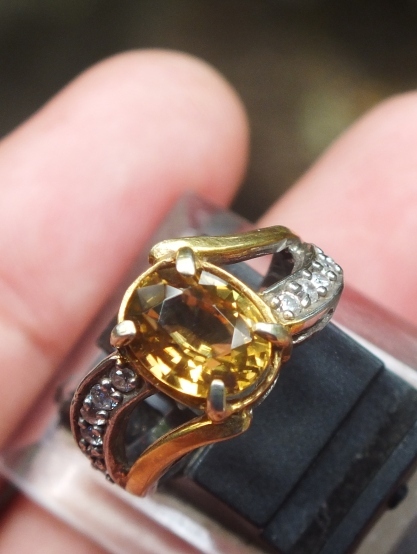 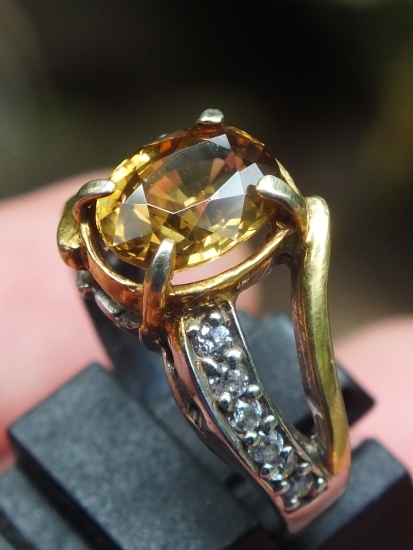 This is a very beautiful Natural Yellow Zircon set on a 13mm Lady ring. 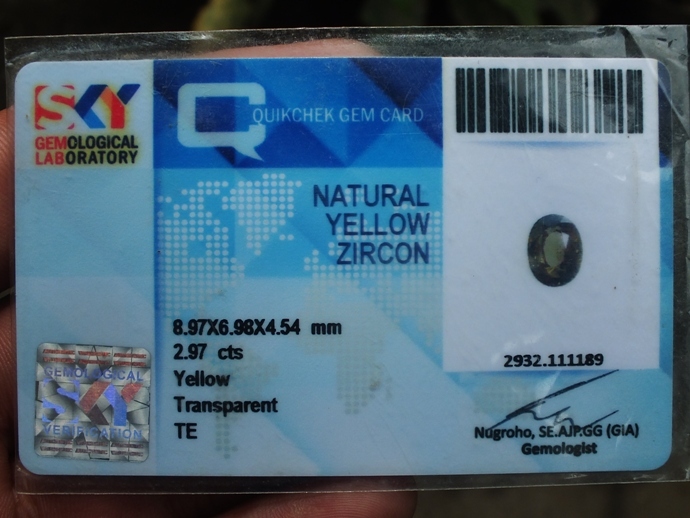 Gems identification by SKY LAB Jakarta. The size of the gems 8,9mm x 6,9mm x 4,5mm, weight 2,97 carats. Price: Rp. 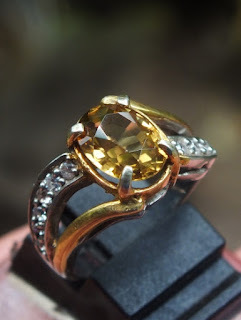 800.000,- shipping cost is included for Indonesia delivery areas only! 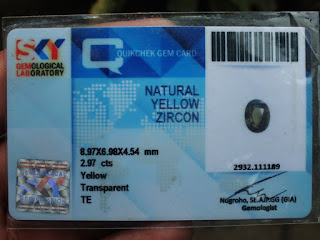 A very lustrous Natural Zircon for you! !